Actor Vicky Kaushal is undoubtedly going through the best phase of his life. With his last two films – Meghna Gulzar’s Raazi and Rajkumar Hirani’s Sanju – the actor hasn’t just won our hearts but has also received praises from critics for his spectacular performances. He has definitely become the next big thing in Bollywood. Vicky, who is currently basking in the glory of Sanju, has made it to the headlines yet again. But this time, it’s not because of his performance in a movie but because of his personal life. If latest reports are to be believed, the handsome hunk might be dating television actress Harleen Sethi. It is being said that there is a romance blossoming between the two stars. Apparently, Vicky and Harleen were introduced to each other by a common friend, Anand Tiwari, a few months back. “They just instantly hit it off, and though it’s been a few months of them having known each other, they are taking things slow. Vicky and Harleen are in a beautiful phase right now,” a source told a media portal. Harleen is a popular TV host, who has also worked in many commercials. She will next be seen in ALTBalaji’s web-series, Broken opposite Vikrant Massey. 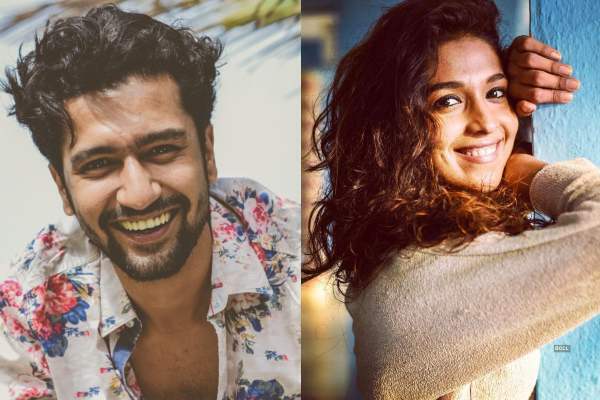 Meanwhile, Vicky Kaushal will soon be seen in Anurag Kashyap’s ‘Manmarziyaan’. The movie also features Abhishek Bachchan and Taapsee Pannu in pivotal roles. The film is slated to hit the theatres on September 14. There has been no official announcement from both the sides but we are very excited to see them together. What do you have to say about the new couple of the Tinsel town? Share with us in the comments! Sonam Kapoor finally reacts to her marriage rumours with Anand Ahuja!